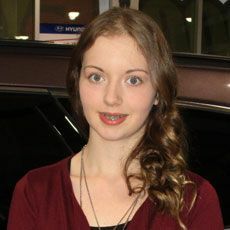 Ontario Hyundai would like congratulate this year’s winners of the Ontario Hyundai Scholarships. These extraordinary young men and women have exhibited strong leadership, volunteerism, athletic and artistic ability, and also academic achievement. 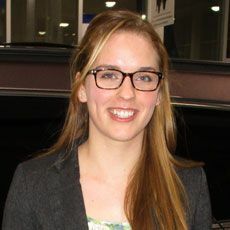 “The Ontario Hyundai Scholarships’ main mission is to help financially assist Durham Region students. 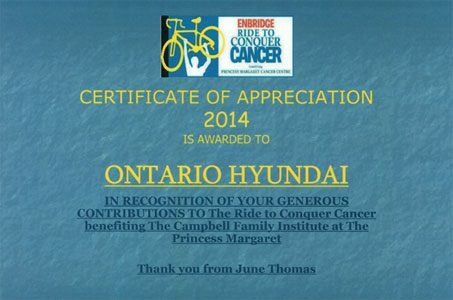 Over our 30 years in Durham Region, Ontario Hyundai has supported many causes and charities. 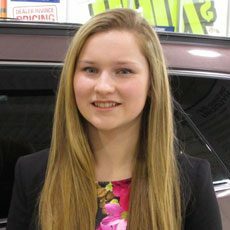 The establishment of The Ontario Hyundai Scholarships is a natural progression for us and one we felt was important and timely. Post-Secondary education is rapidly becoming more expensive. 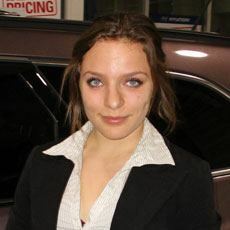 Students and their families are struggling to come up with the resources to achieve the dream of continuing their education and the journey towards success. Our belief is that the world is becoming more and more competitive and we have to promote the value of education to our youth. Education is their passport to the future and without it they may be left behind. We are proud and honoured to off er our support to these exemplary young men and women”. Thank you so much for your generous donation to my "Bingo Bowling Event" which included 50150 draws, door prizes, lane prizes and an awesome silent auction. 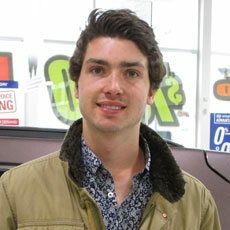 With your help, this event was able to raise almost $2,400 towards my grand total of $6,400 of which went directly to Princess Margaret Hospital. Cancer can be Beaten in Our Lifetime with support from supporters like you Please continue to support the fight through friends and family, as together we CAN make a difference. "Thank you for your contribution of the various Gift Prizes to Durham Region's Parkinson SuperWalk 2014. Please accept this certificate in appreciation of your support. As of walk day, we raised over $74,000. Corporate contributions ensured that every dollar raised by walkers has been forwarded for research and support services. Gifts of incentives and supplies gave us a happy group of people who enjoy celebrating together even in the face of living with this very difficult condition called Parkinson's. To date, the national return is $2.6 million and Central and Northern Ontario region, to which Durham Region reports, raised a record $ 1 million plus, a fantastic achievement! On behalf ofall those people whose lives are affected by Parkinson's disease, we thank you, not only for your concrete contributions, but also for your caring and concern." OSHAWA - The City is pleased to announce that Ontario Hyundai and Hyundai Canada have expanded their commitment from arena sponsorship to sponsoring Harman Park Arena. In addition, the sponsorship agreement has been extended until 2018. 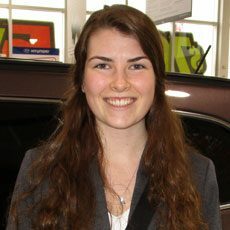 The new sponsorship agreement scores Ontario Hyundai the title of being the City of Oshawa's largest facility sponsor. "We are thrilled that Ontario Hyundai, a long-term Durham Region business has expanded its partnership with the City to be the exclusive sponsor of Harman Park Arena," said Oshawa Mayor John Henry. "This partnership demonstrates a positive investment into our community and allows us to continue to offer valuable programming such as hockey, ringette, lacrosse and ball hockey." exterior signage changed to "Harman Park Arena sponsored by Ontario Hyundai"
communication materials including the Leisure Guide and City website. "We are pleased that Ontario Hyundai is not only extending their sponsorship of the Harman Park Arena, but they are now becoming the City's largest facility sponsor," said Councillor Bob Chapman, Chair of the Community Services Committee. 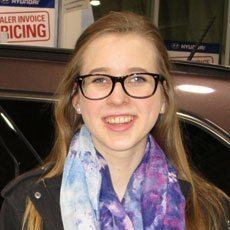 "Sponsorships such as this assist with funding the arena's operating costs which helps all Oshawa taxpayers - thank you Ontario Hyundai." 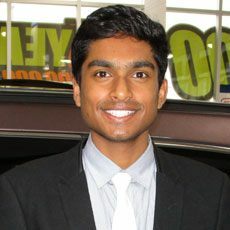 - Greg Mason, President of Ontario Hyundai. 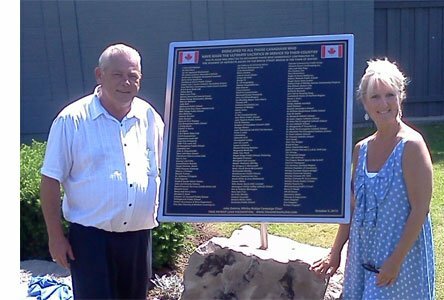 Harman Park Arena sponsored by Ontario Hyundai has a strong history in the City of Oshawa, opening its doors in 1969. Today, the two-pad arena operates ice pads from October to March that host organizations such as N.A.S.C (Neighbourhood Association Sports Committee) Hockey, Oshawa Church Hockey League, CYO Hockey Association, Oshawa Minor Hockey Association, Oshawa Storm Ringette Association and Oshawa Girls Hockey Association. From April to August, the facility converts to dry pads hosting organizations such as Oshawa Minor Ball Hockey Association, Oshawa Minor Lacrosse Association and York Central Ball Hockey League. "On behalf of the Oshawa and District Shrine Club, I sincerely thank you for your sponsorship at our June 6th golf tournament. 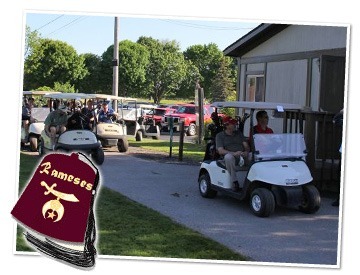 The success of this year's golf tournament will again enable The Oshawa and District and Shrine Club to support The Shriners Hospitals for Children. This would not be possible without your contributions! Again, thank you we look forward to your support in 2015." "On behalf of the fund raising committee at Mother Teresa Catholic School, we would like to thank you for your generous support of the Mother Teresa Fun Fair that raised funds to support Autism Ontario. It is community members such as you that make Ajax a special place to live. 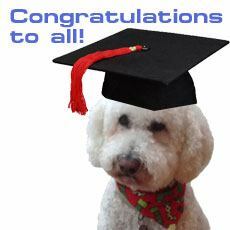 We know that there are many hands outstretched asking for donations and help, so we wanted to make sure that we expressed our sincerest thanks on behalf of students, parents, staff and volunteers Wishing you and your business much success now and always! Thank you!" 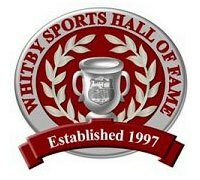 On behalf of the Board of the Whitby Sports Hall of Fame, I extend our sincere thanks for your support of our 2014 Induction Gala at Royal Ashburn Golf Club. Your advertisement in our printed program contributed to the overall success of the evening, during which we celebrated the careers of Don Fleming (auto racing), Matt Millar (lacrosse), and David Moonlight (rugby) as well as the recognition bestowed on the Town of Whitby through their accomplishments. It is through such kind collaboration that we can sustain the viability of our Hall of Fame. 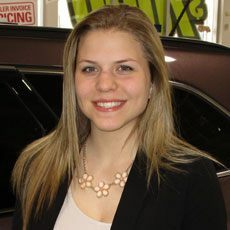 Ontario Hyundai and staff member Theresa Zaporozan sponsored "True Patriot Love" fundraiser for money towards bronze plaques for the Whitby bridge campaign. True Patriot Love honours the sacrifices of members of the Canadian Forces, Veterans and their families by: Stepping in where government is unable to fund programs that support their physical, mental and social wellbeing no matter where they are posted in Canada or abroad, promoting their special skills and capabilities resulting from their unique conditions of service and being a conduit for everyday Canadians, corporations and philanthropists to express their appreciation and patriotism. True Patriot Love celebrates the selfless service of our soldiers and their families. Through generous donations, they have raised over $14 million in support of the Canadian military and their families. Last year, True Patriot Love has pledged $1 million to ensure the mental health and well-being of our military members, veterans and their families, and an additional $1 million for military family health and support, and for the physical health and rehabilitation of our injured military personnel and veterans. CLICK HERE to learn more about True Patriot Love. "The annual Durham Region Walk for Muscular Dystrophy was a huge success! Because of you, this year's event raised over $41,000! 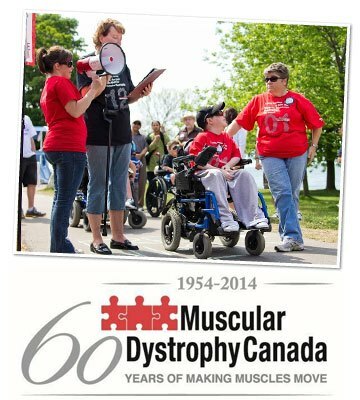 2014 marks 60 years of progress and work by the tireless volunteers, participants, Fire Fighters and members of Muscular Dystrophy Canada. Thanks to you, our community has grown stronger and our fundraising initiatives have expanded. Thank you to our planning committee and event day volunteers for making the day one to remember. Thank you for making a difference to the present and future lives of those affected by neuromuscular disorders." 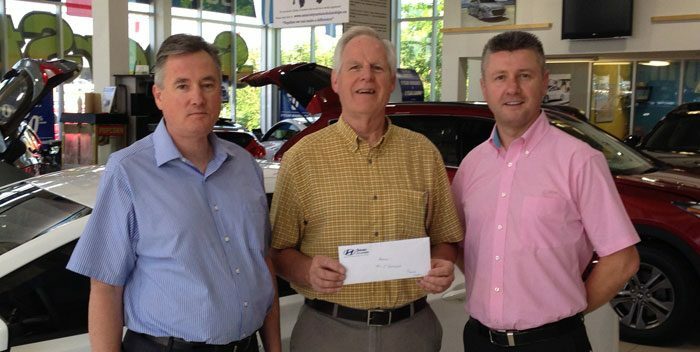 Jerry Cardwell, pictured left center with Ontario Hyundai General Manager Bob Lawrence and Sales Associate Roman Zembik, is the winner of Ontario Hyundai's May Dream Vacation Contest. Mr. Cardwell won a $2000.00 travel voucher. Ontario Hyundai salesperson, Derek Warren, sponsors this race car shown here in action at the Peterborough Speedway.